JCB - I Say Ding Dong Shop - Buy Stickers, Decals & Unique Automobilia. I Love My Digger Bumper Sticker. 9". I Love My Tractor Bumper Sticker. 9". It's A Tractor Thing! Sticker. 5". 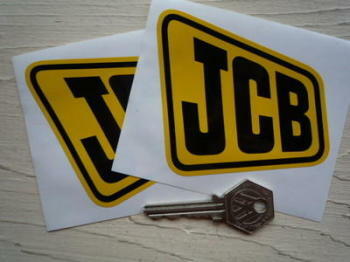 JCB Yellow & Black Shaped Stickers. 4" Pair. Tractor Owners Life It Dirty Sticker. 4.75".